Hastings History is the focus for many visitors. Founded in 1857, the community works hard to preserve its history both in natural and cultural historic sites. Hastings is nationally known for its Victorian architecture and has a total of 62 buildings on the National Historic Register including 33 commercial buildings, 28 private homes, and 2 churches. The Historic Hastings Walking Tour has 57 historic sites for visitors to enjoy, each one giving a glimpse into the buildings past. On the tour are historic homes, estates, comercial buildings and landmarks that help build the city of Hastings. 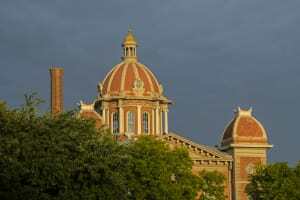 Included on the walking tour map is a building designed by Frank Lloyd Wright who was recognized by the American Institute of Architects as "the greatest American architect of all time". The walking tour map is located on the back of the city street map or parks and trails map and can be found at the Chamber Tourism Office and City Hall. 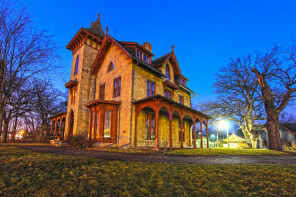 Built during the Civil War by one of Minnesota's prominent pioneer families, LeDuc Historic Estate is one of the last remaining intact examples of Gothic Revival residential architecture in the Untied States. The Estate is open Thursday through Sunday, 10:00 a.m. to 5:00 p.m. from May 26 through October 25. Guided tours start at 10:00, 11:30, 1:00, 2:30, & 4:00. Check out their website for a complete list of events including Victorian teas, Hastings Historic After Hours and reenactments. Historic Downtown Hastings is located along the Mississippi River banks. Travel back in time with a walk down 2nd Street, where most of the shops and restaurants are in preserved buildings dating back to the 1800's. 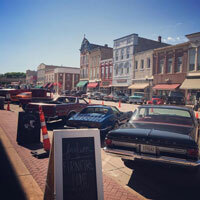 During the summer months, Downtown Hastings is filled with people and classic cars for the Cruise-In Car Shows! 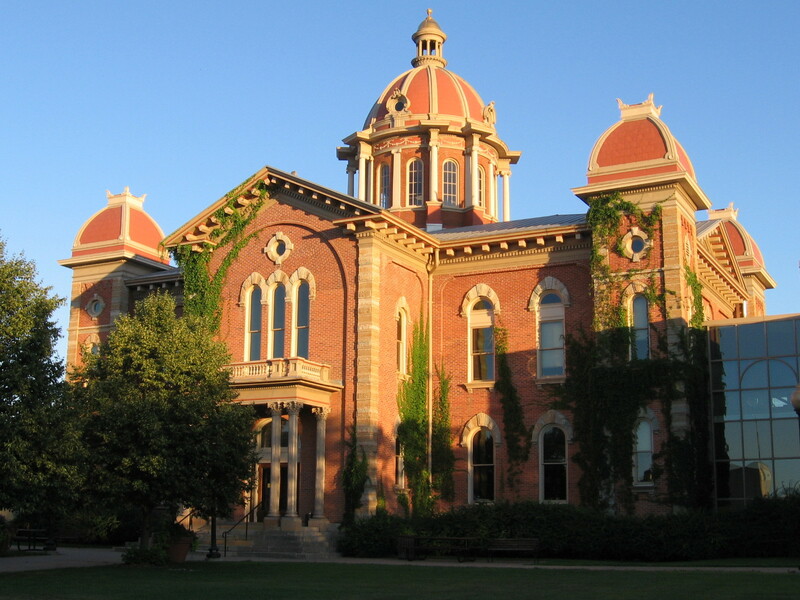 Hastings City Hall is the second oldest surviving courthouse, finished in 1871. It stands majestic as visitors enter into Hastings from North on Hwy. 61. Formally the Dakota County Courthouse, it was rededicated in 1993 as City Hall. The walls throughout the City Hall display local historic artwork. Located on the first floor of City Hall, the Pioneer Room is a historical records room focused on the town and citizens of Hastings, Minnesota. The Pioneer Room has artifacts from its citizens and businesses which include a historical photo collection, reference materials on Minnesota, Dakota County, and the City of Hastings history, plus genealogical records and newspaper archives categorized by topic or person. Pioneer Room Hours: Wednesdays from 9 a.m. until 4 p.m.